You’re probably familiar with Peanut, the poor sea turtle permanently deformed by a plastic 6-pack ring. Well, Peanut is just one story among many others that grabs the attention of consumers and manufacturers alike. Most of the rubbish we throw away each day comes from product packaging. Around 1.5 million tons of waste comes from paper packaging, while over 13 million tons of waste are from plastic packaging. Thankfully, companies big and small are now turning towards eco-friendly practices such as utilizing reusable bags instead of disposable plastic bags. More importantly, companies are now exploring sustainable packaging design. Governments, organizations, and individuals all over the world have been campaigning for more eco-friendly practices that cut down carbon footprint and reduce plastic wastes that end up in landfills or the ocean. Here are brilliant examples of packaging design that businesses can draw inspiration from in their corporate social responsibility efforts. It’s been said that shoeboxes account for millions of tons of waste. 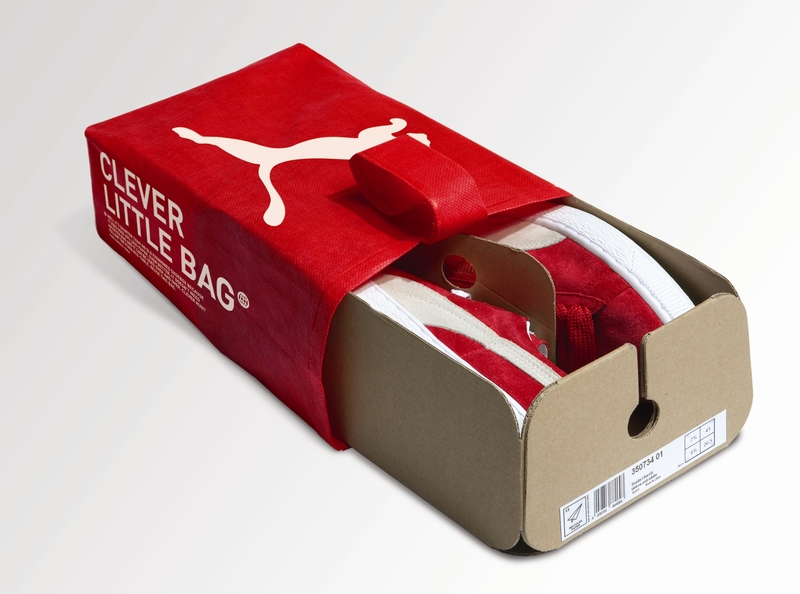 In 2010, sports-fashion brand, PUMA, in partnership with Yves Béhar of fuseproject, developed a more sustainable packaging that reduces cardboard use by 65% and carbon emissions by 10,000 tons each year. The Clever Little Bag also eliminates the need for a plastic bag with the eco-friendly carrier tote that consumers can reuse and recycle. According to PUMA, the Clever Little Bag saves 8,500 tons of paper, 20 million megajoules of electricity, 1 million liters of fuel oil, and 1 million liters of water every year. Dogs poo a lot and approximately 20% to 30% of waterway pollutants come from canine waste. As such, responsible pet owners pick up after their pets. Unfortunately, poo bags are made of plastic, which take thousands of years to decompose. 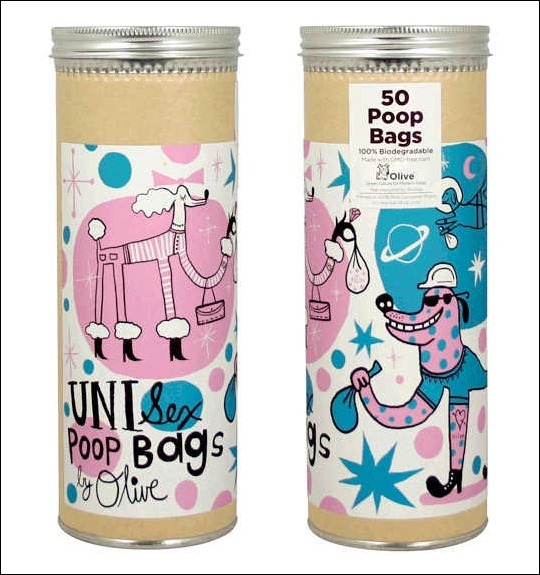 To reduce plastic waste, Olive came up with 100% biodegradable poop bags that are made from GMO-free corn starch and vegetable oil. Pet parents wouldn’t feel guilty about throwing their dog’s poo in the bin because these plastic bags take as little as 40 days to compost. Sushi is a common food delivered in Sydney and other cities in Australia. With that in mind, it’s essential for restaurants that deliver to consider sustainable and eco-friendly takeout containers. 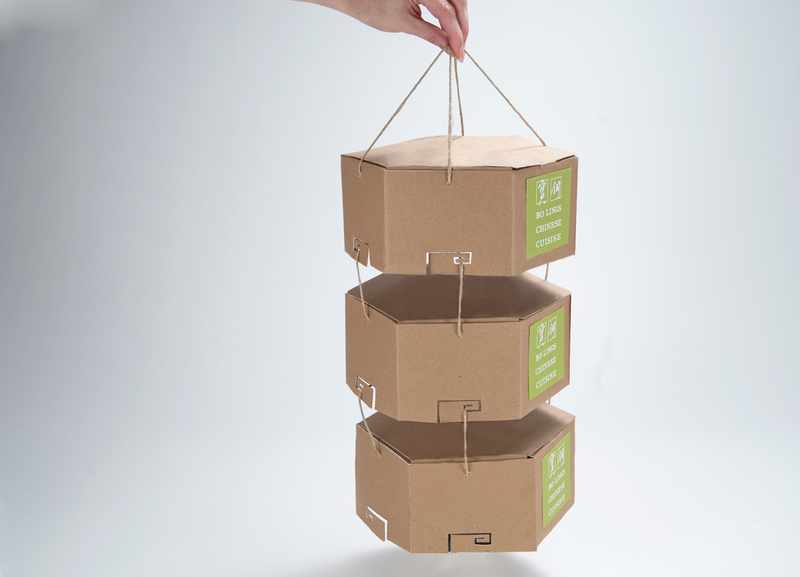 With the look inspired by its name, Fune, the Japanese word for “ship,” this sushi takeaway packaging uses biodegradable, recyclable, PET-coated cardboard material. Its “hull” serves as the carrier for the reusable soy sauce container. 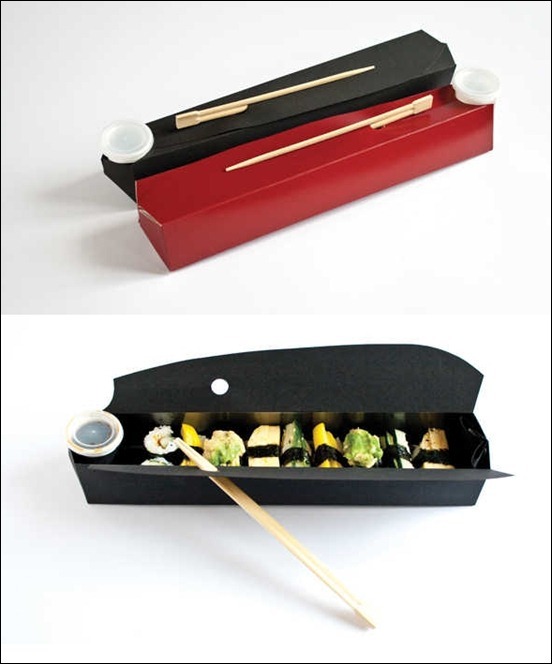 Instead of glue or plastic tape, chopsticks are used as a needle for closing the box, further reducing material wastage. In 2011, Joann Arello’s packaging designed was featured as the best innovative packaging concept. Her design focused on sustainability and eliminated the need for the plastic carrier bag and Styrofoam food containers. Indeed, food delivery in Sydney doesn’t have to result in too much plastic wastage. 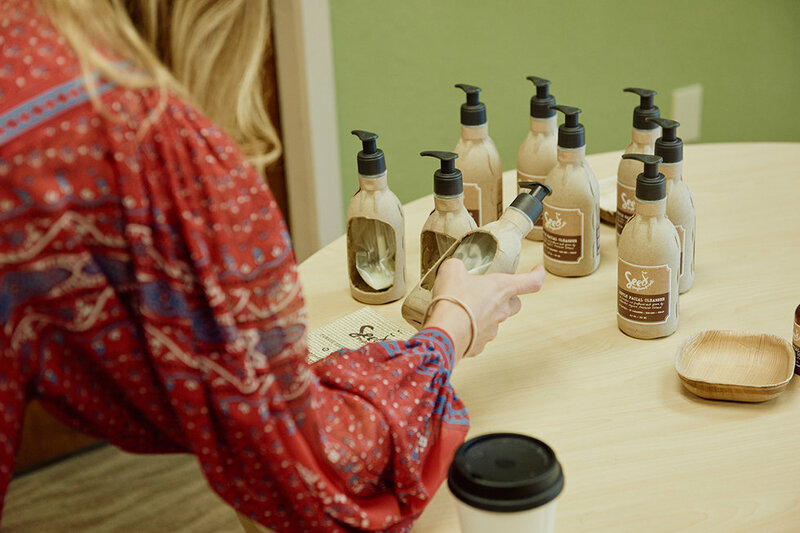 Ecologic, in partnership with Seed Phytonutrients, came up with the first shower-friendly paper bottle. Its recyclable and compostable material was made from 100% post-consumer recycled paper. Instead of glue, the bottle is held together through interlocking grooves. To make it water-resistant, the bottle featured an inner plastic lining made with food-grade recycled plastic that’s 95% thinner than regular plastic bottles. The best thing about this unique bottle is that consumers can use the product down to the last drop because they can collapse the packaging as they use it. 60BAG isn’t just your average reusable bag. It’s made from flax-viscose non-woven fabric that will decompose 60 days after its thrown away. The fiber was produced with flax fibre industrial waste, so no new resources are used. This material only requires minimal energy during production to help reduce carbon footprint. This biodegradable carrier bag can be reproduced for various brands, companies, and organizations across different industries. In keeping with Veuve Clicquot’s sustainability efforts, they created the first eco-friendly packaging solution in the history of champagne. Naturally Clicquot 2 is the improved version of Naturally Clicquot 1. Veuve Clicquot champagnes are now packaged in biodegradable, recyclable, and isotherm containers made from potato starch. The Naturally Clicquot 2 is designed for safe and easy transportability of their yellow-label champagne. It’s held together by Velcro so that consumers can reuse the packaging for other drinks. Hampi Natural Tableware was designed for people, restaurants, and food delivery businesses that find it difficult to do without disposable tableware. 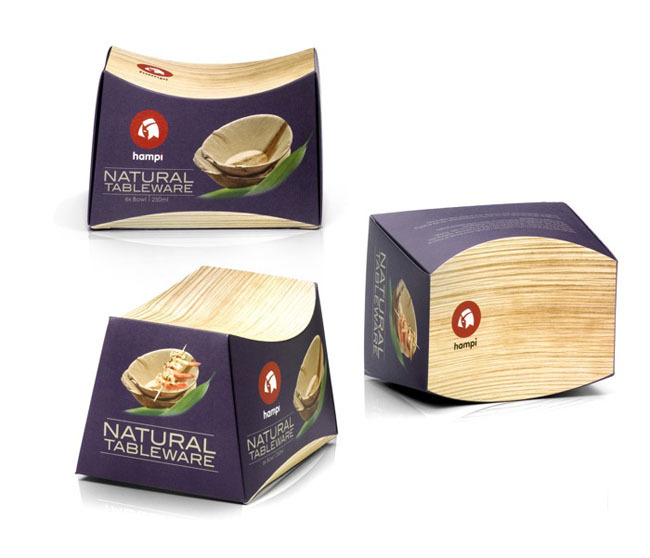 Made from fallen palm leaves, this food packaging solution transforms fallen palm leaves into the sustainable material to help reduce plastic wastage. Hampi first sold their natural tableware to caterers, but the product is now made available to consumers. These single-use tableware and takeout containers are biodegradable and compostable. These eco-friendly packaging designs are brilliant examples of human innovation in the effort to preserve natural resources, reduce plastic wastage and carbon footprint, and ultimately, save the environment. Food delivery service in Sydney and the rest of the world doesn’t have to use single-use plastic materials since there are creative yet environment-friendly packaging solutions! Minimize and optimize your usage of materials – reduce, reuse, and recycle. Choose materials that are biodegradable and recyclable. Where possible, opt for materials made from post-consumer recycled products. Utilize lightweight materials that take less energy to manufacture.